This was surprisingly delicious! Putting all the ingredients together, I kept thinking to myself "this doesn't look like much of anything." We really enjoyed this one. I love how you can easily tweak it to make it healthy by simply using fat free or reduced fat cheese. I can't stop thinking about those cherry tomatoes growing in my garden this summer. I love finding recipes like this! 1. Preheat oven to 400°. Place butter in a 13- x 9-inch baking dish; bake 5 minutes or until melted. Stir in broth and next 3 ingredients. 2. Bake, covered, at 400° for 35 minutes. Remove from oven. Fluff rice with a fork. 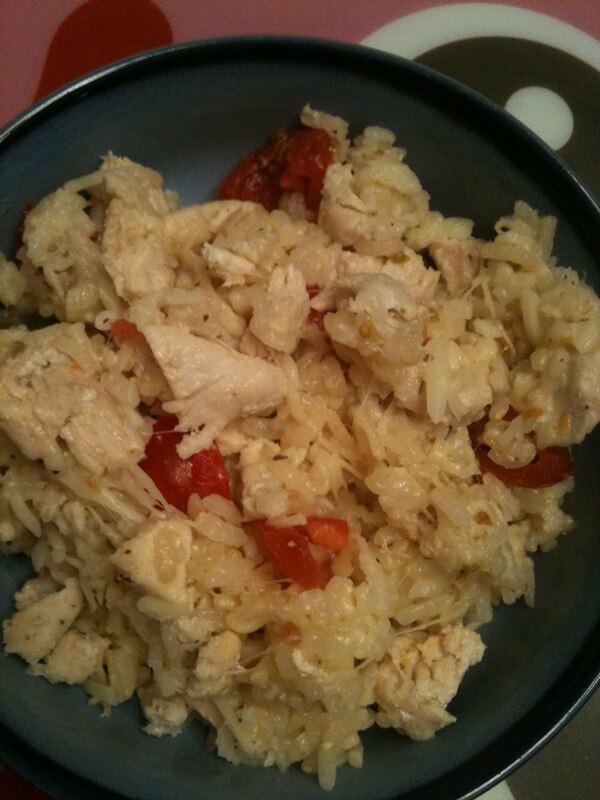 Stir in chicken, mozzarella, and tomatoes; sprinkle with shredded basil. 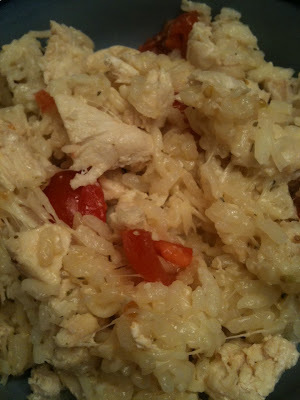 My friend, Margaret, introduced me to this recipe found here!